Residence Aqualiva price per day from € 350 . Le Chamois price per day from € 250 . 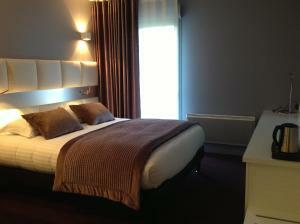 Cheap accommodation Valberg, max 4 persons, recommended by travellers ! price per day from £ 30 . Holiday apartment, 40 square meters , Valberg price per day from £ 26 . House, 25 square meters price per day from £ 21 . Peaceful apartment, with garden . Hotel Le Blanche Neige price per day from € 75 Located in the Provence-Alpes-Côte d’Azur region, this hotel is just 200 metres from the start of the ski slopes of Valberg. Guests are able to enjoy a continental or buffet breakfast every morning at Hotel Le Blanche Neige. Guests can practice outdoor activities like canyoning, horse riding and climbing in the area. Hôtel l'Adrech de Lagas price per day from € 87 Located opposite the ski slopes in Valberg, Hôtel l'Adrech de Lagas offers 2 saunas, a fitness room and ski storage. Each one includes an LCD TV with satellite channels, while some are also complete with a spa bath. You can also have a cocktail in the bar before sampling traditional-style dishes in the restaurant..
Town of Amignon (~1.3 km). 2+ villas/holiday houses ! Town of Beuil (~4 km). Town of Guillaumes (~6.9 km). 2+ apartments ! Town of Isola (~13.1 km). 33+ apartments, 16+ villas ! Town of Saint-sauveur-sur-tinée (~13.4 km). 4+ accommodation units !